Instant access to your customer information helps streamline the order process. 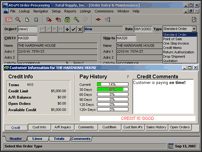 Show credit information and optional account receivable at a glance. The sales history display will give you a better profile of your customer and with customer/item history, you can view your customer's buying habits and last pricing. Access to open orders and drill down to order inquiry will give you quick and complete information about the customer. Powerful item look up features during order entry allow for fast and efficient entry. Extensive item information is available with one click. Order controls warn when items are not available and suggest substitutes or upgrades. 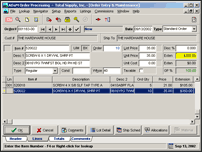 Box quantity controls provide a more effective way to process orders. A full featured pricing matrix displays optional customer contract pricing and customer's purchase history. Complete item information can be displayed with a simple keystroke. Pricing and availability can be quickly accessed. Sales history for the item provides broad information for making pricing decisions. 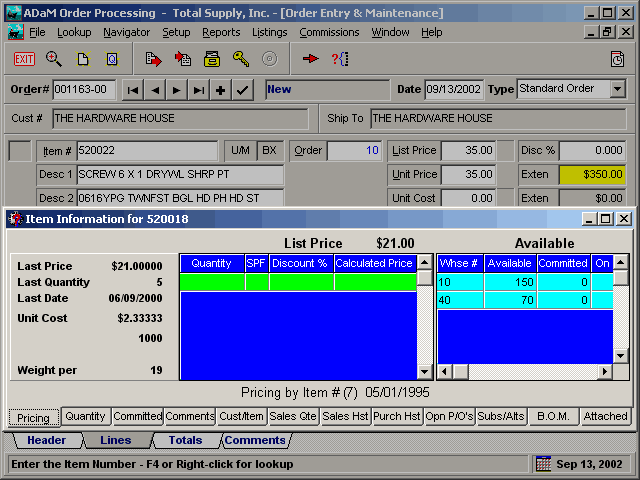 Open purchase orders display estimated arrival dates for product the is not available. Substitutes and Alternate item numbers provide great flexibility to service the customer. Attached documents such as images, schematics are available with a single keystroke. 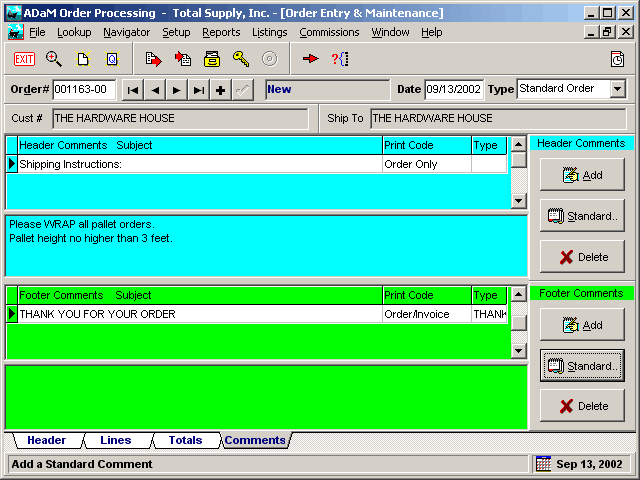 The order display provides the completion tools of the order. Using the customer's preferred shipping method and options allow the order to be completed easily. Sales tax and payment terms can be finalized at this point and with optional ADaM E-Sign, capture your customer's signature. 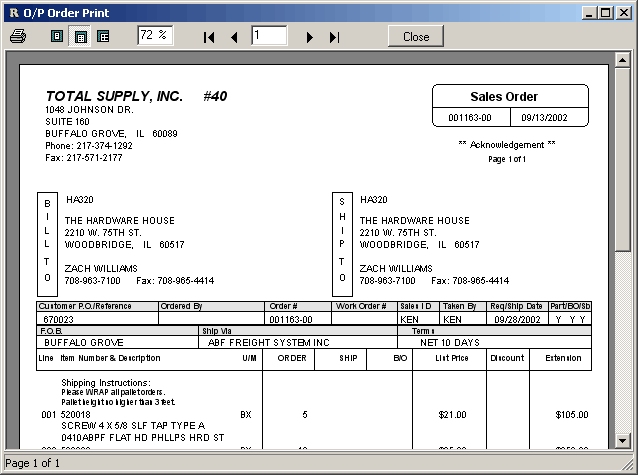 Orders and quotes can be previewed before printing or directly faxed to your customer. Order Comments for the order header or footer provide a powerful way to communicate additional information about the order. Order comments can automatically be created from customer comments or by using 'standard' comments, you can easily retrieve pre-defined comments for use on orders. Comments can be defined as 'internal' for internal viewing only or directed to print on different order documents such as the purchase order, receiver, or expediting comments. Throughout the ADaM system, printable forms, reports and listings can be previewed before printing. This ability saves time and paper. 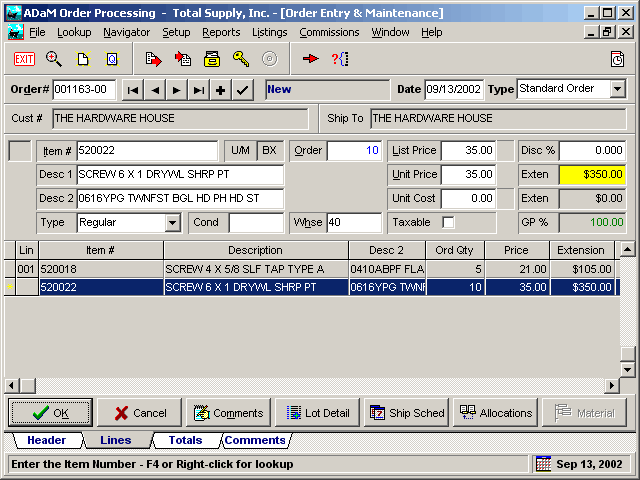 The sales order print is an example of how forms can be printed in the ADaM system. Sales orders, Quotes, Credit Memos, and Invoices can all be previewed before printing. 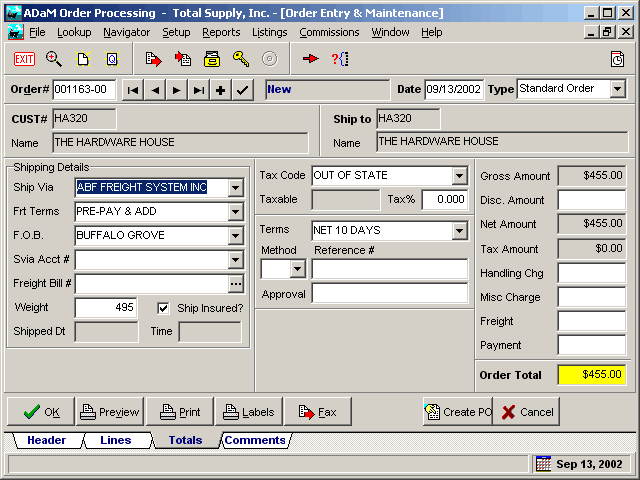 Multiple control options allow the sales order form to be printed as a pick ticket, order acknowledgement, return authorization and other formats. 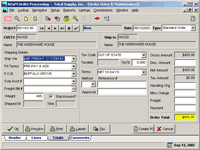 Sales order forms can also be faxed directly to the customer using ADaM FAX.